In this line, the extension is called, and you will need to specify which validator to use. The available validators are disposable and free. 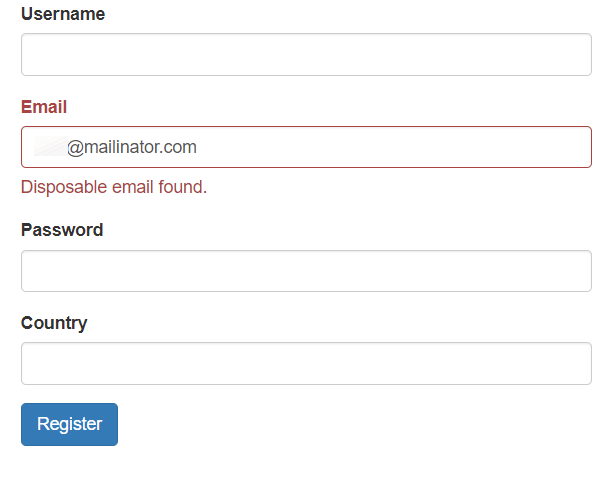 Finally, open or refresh your form and try to submit an invalid email address to see the outcome. You shall see the error message if the email address is invalid.